With many projects in the works, the last few months have been busy with filming, photographing and travel. 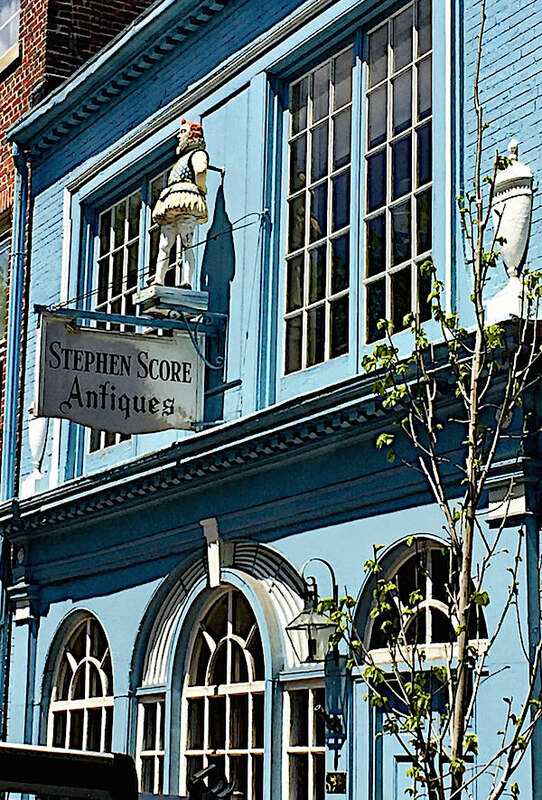 I have a few favorite destinations to share, starting with the most recent. 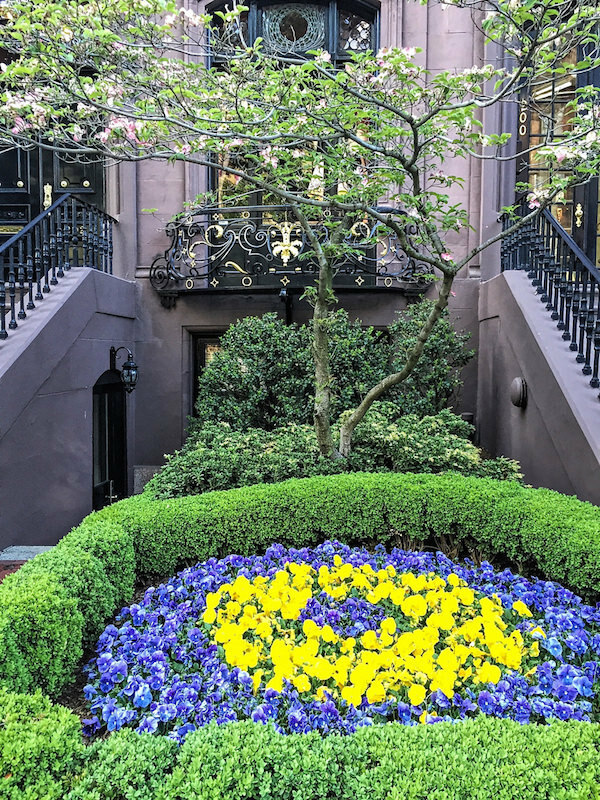 Last week, Susanna and I spent 24 hours in Boston for several events. 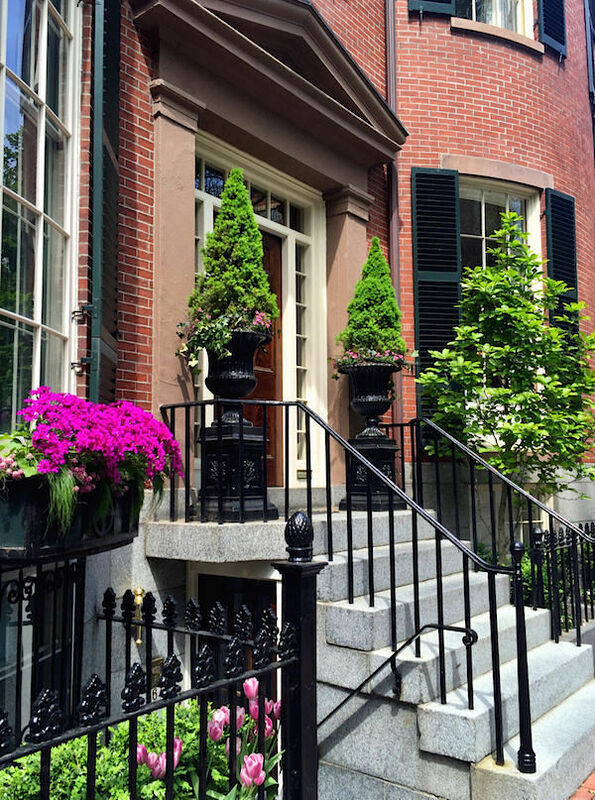 We were incredibly lucky with the weather and took the opportunity to walk, primarily in the historic Beacon Hill neighborhood, whenever we had time. 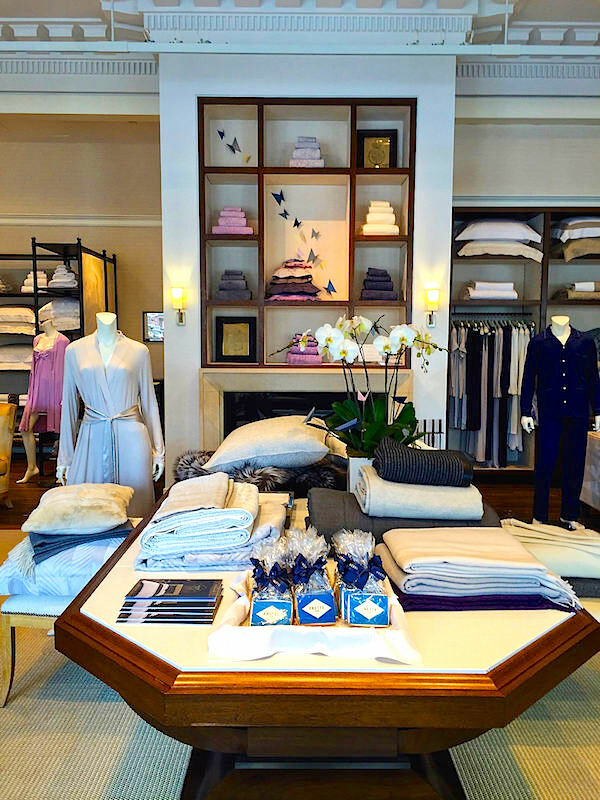 I hosted a fun book signing for Susanna’s latest title, It’s the Little Things, at the beautiful Frette store on Boylston Street. 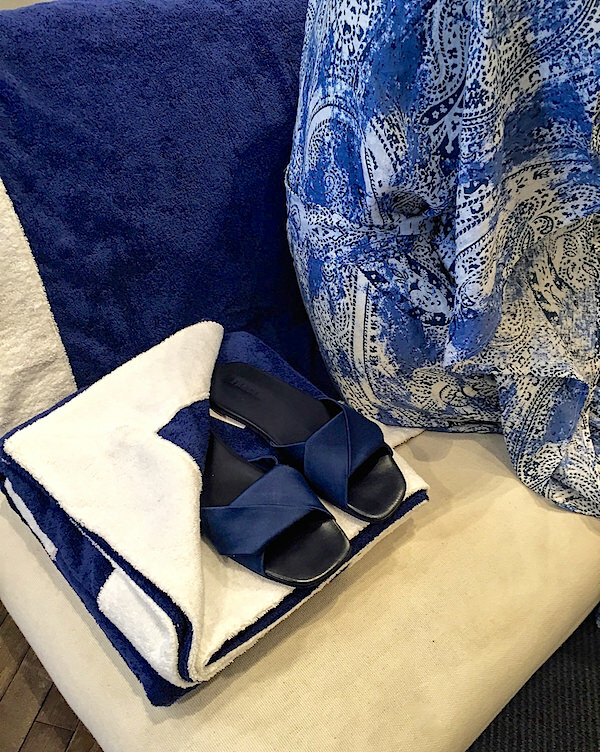 including chic offerings for the upcoming season. 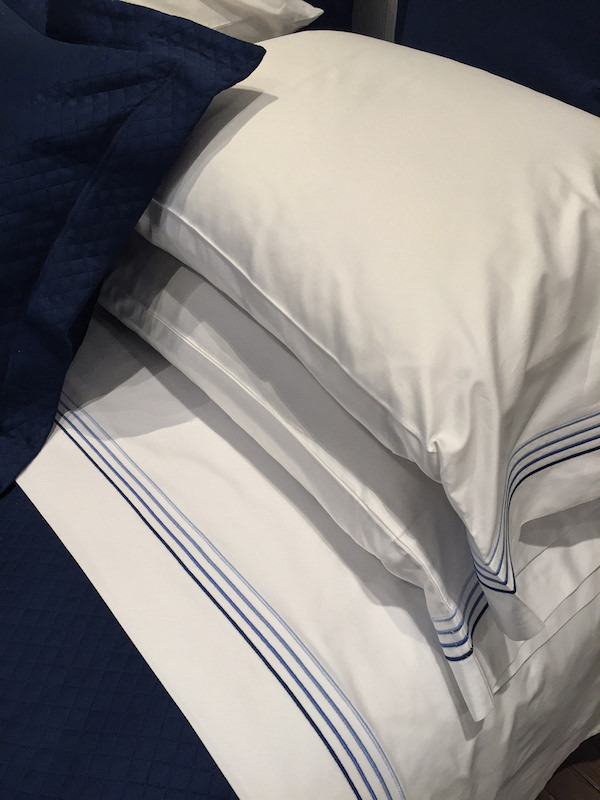 The versatile new Cruise collection, with its crisp four lines of gradated blue embroidery would be ideal for any summer house or boat with sleeping quarters! 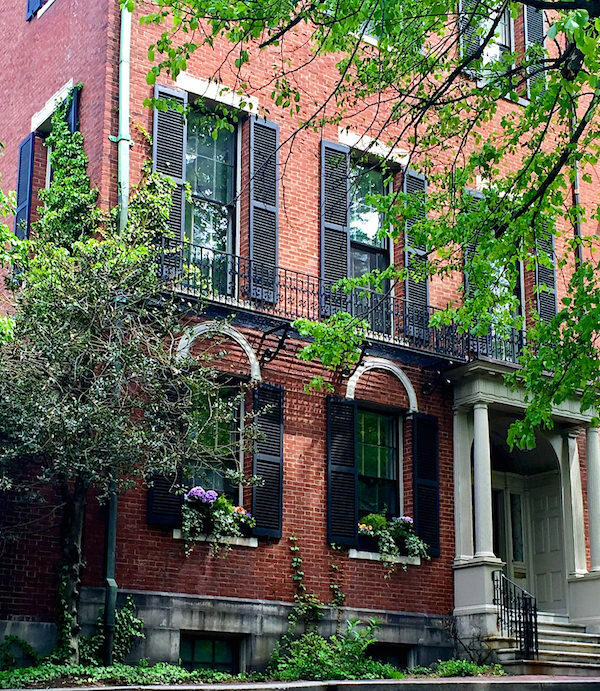 The 19th century townhouses of stately Louisburg Square were looking especially spiffy for spring. included jubilant expressions at the crossroads of style and history. Rooftop culture was just starting to celebrate the season. Happily, friend Cynthia Everets was in town. You may remember her Nantucket house from last summer. 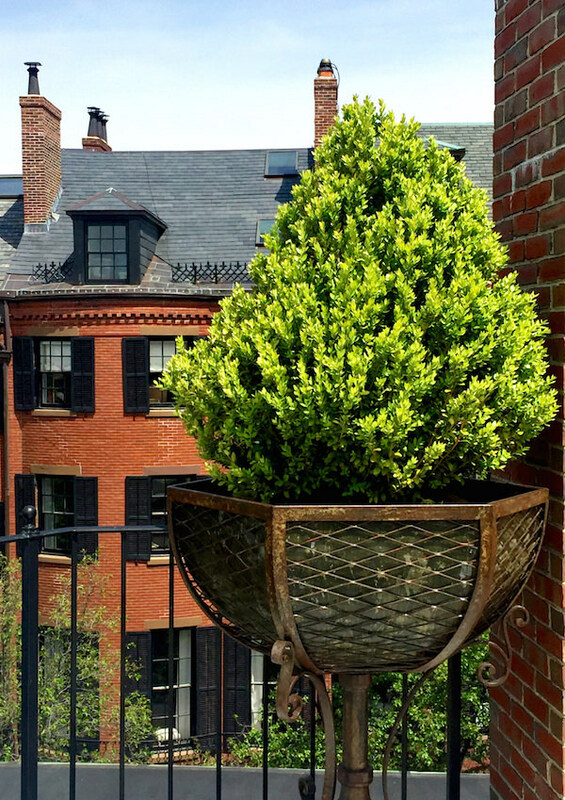 Her Boston residence is equally (and a bit more formally) chic. 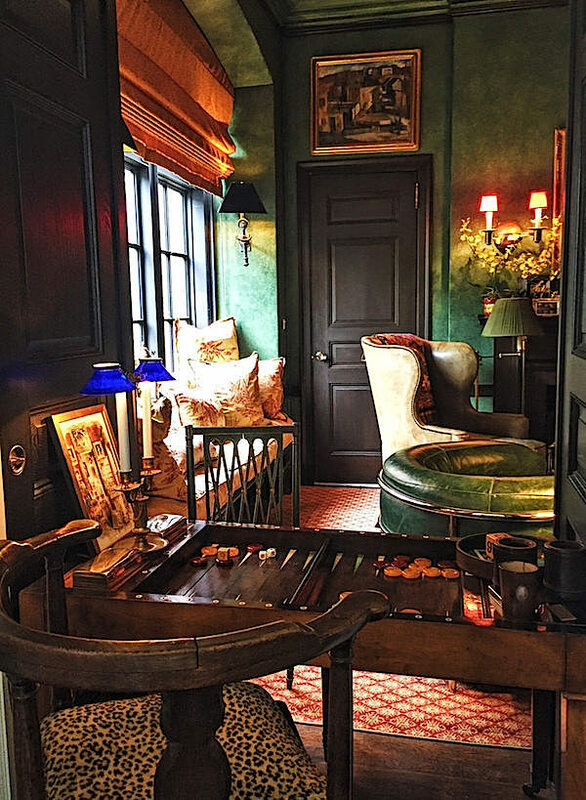 Homes that express the personality of their owners are always the most special and Cynthia’s does so in spades. 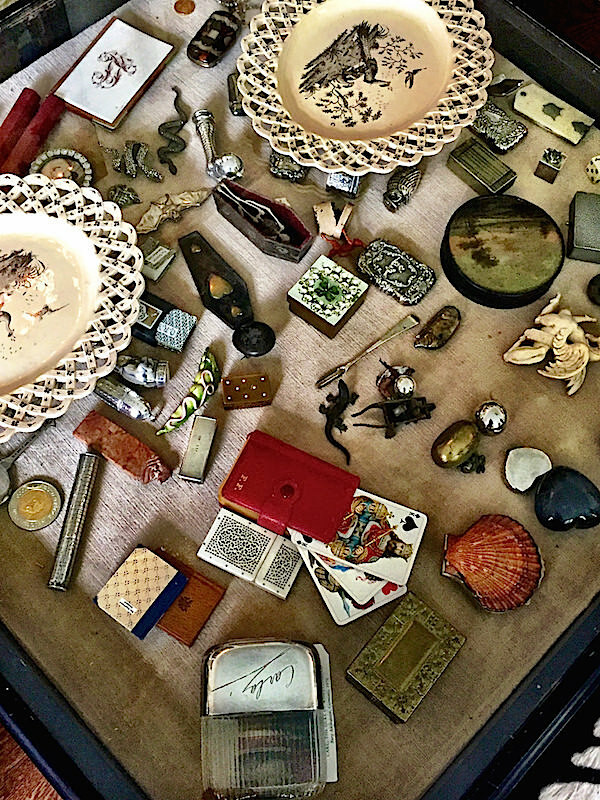 What a fantastic idea for a coffee table with a stylish still life of meaningful mementos encased in glass. The stunning creamware plates on top are a part of Cynthia’s eclectic antique pottery collection. 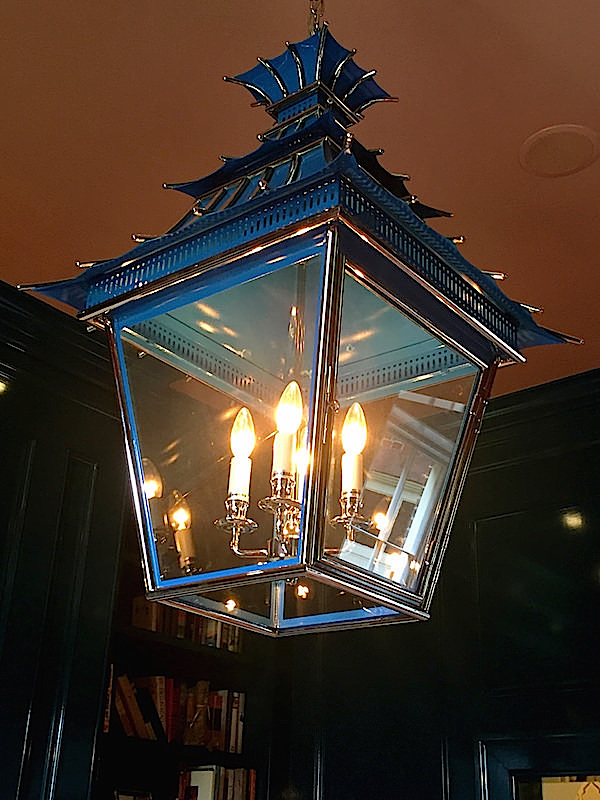 with a chinoiserie chic custom colored Charles Edwards lantern. 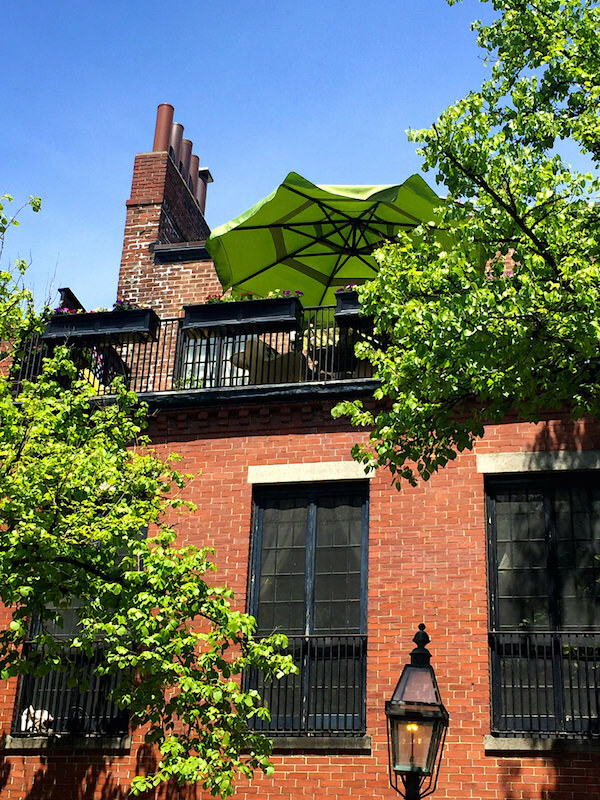 Her rooftop terrace has amazing views and, like the house, is a great melding of antique and contemporary furnishings. 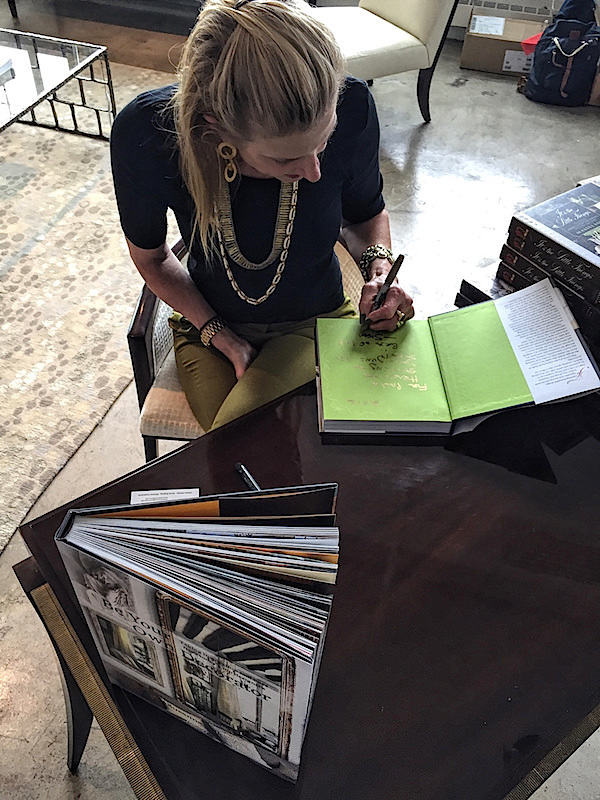 That afternoon, we visited the Boston Design Center where Susanna gave a “Its the Little Things” talk followed by a book signing (with her signature gold sharpie) at the Baker showroom. It was great seeing several Boston design friends and meeting new locals. 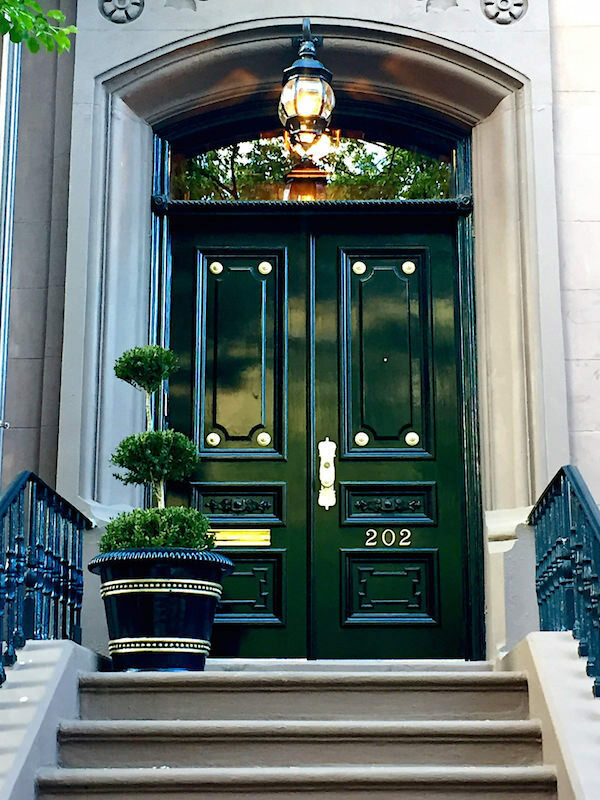 We ended our 24 hours in Boston that evening with a talk together about our video series at the historic Somerset Club. 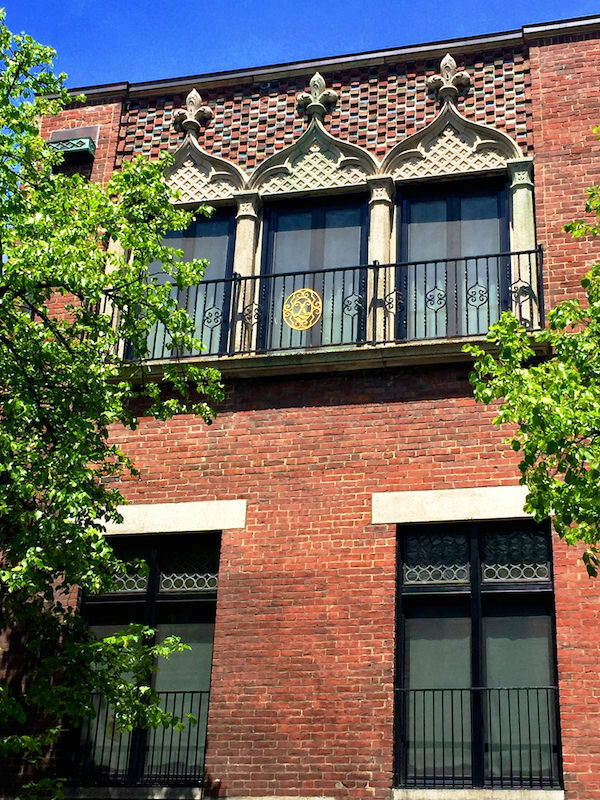 In the splendid 19th century David Sears House, the club welcomed us with an intelligent, engaged and vivacious crowd. I’m already looking forward to a return visit! This entry posted in architecture, design, interior design, travel. 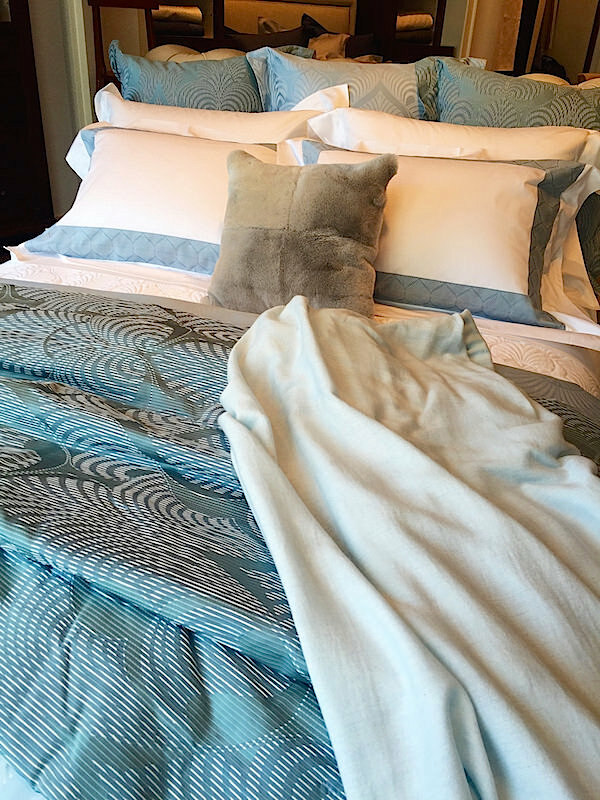 Entry Tags: Boston, Frette, interior design, Travel, travels with Q Bookmark the permalink. It sounds like a great city break. I like that store, elegant and stylish. Stacey, sorry I missed your events! Saw you were coming to Somerset Club but we were previously committed that evening. I’m loving your blog 😍 Hope to see you on the isle! Always love collections. So telling of the person. Wonderful! My beloved hometown. Still as beautiful as ever. 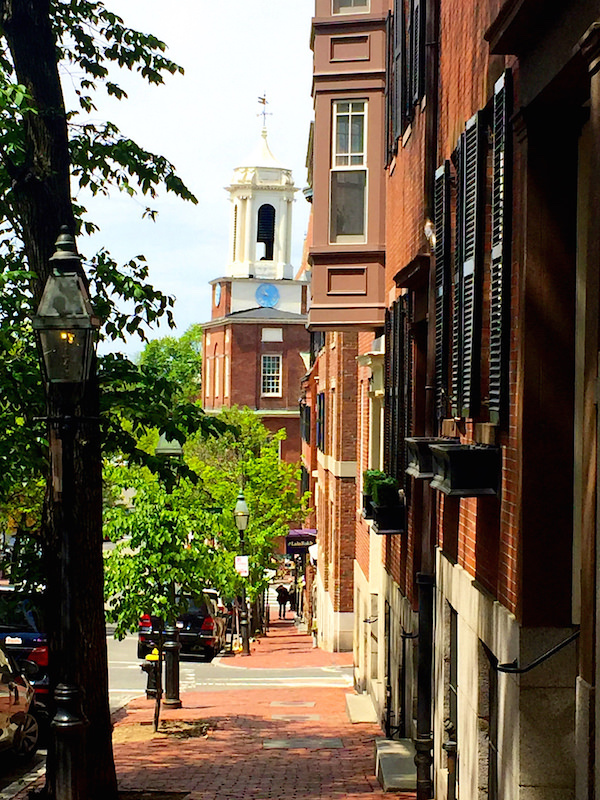 Boston truly has a lot of hidden gems, and your photos highlight that. 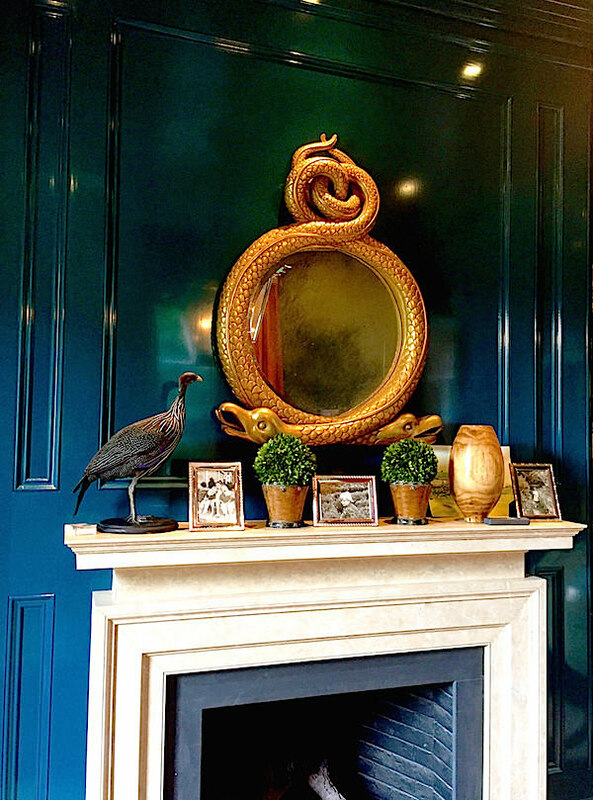 I love the look of the peacock blue walls. It’s so unique and eye-catching. Thanks for sharing!